Jennifer has years of experience providing expert level customer service in health care, tech support and property management before deciding to put those skills to good use in a career as a Real Estate Agent. 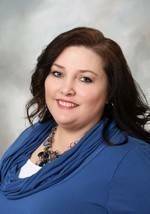 Jennifer enjoys being there for her clients & helping them get the most from their investment. Jennifer was born in Fort Collins, Colorado but has lived just outside of Des Moines metro area in Dallas Center for the past 6 years with her husband. She loves living in Dallas Center and being part of a small-town community. Being from Colorado, Jennifer is passionate about Denver’s sports teams, especially The Denver Broncos. Jennifer enjoys spending time with her family in Colorado and Iowa. During the summer one of her favorite past times is relaxing in Okoboji.